"Cambodia is a young country, and we must give prospects to the youth. The past tells us what may happen tomorrow; and images are here to make us think and feed us; it is a great strength to move forward. Education helps us analyze the images and master the techniques; creation enables us to speak up but also express what we see and how we feel." 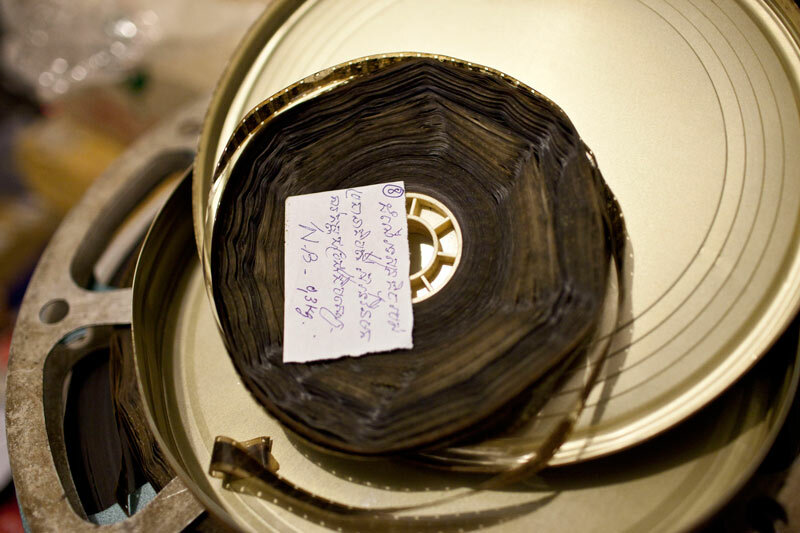 The Bophana Center acquires film, television, photography and sound archives on Cambodia from all around the world and gives free public access to this precious heritage. For Cambodians, it opens the door to large swathes of memory. Since it opened on December 4, 2006, over 240,000 people have (re)discovered these documents in Phnom Penh and throughout the country. For teachers, students, researchers or journalists, it is an exceptional documentary database. Currently, nearly 700 hours of video are available, including: the first movies of the Lumière brothers in the late nineteenth century; recent fictions by Cambodian directors; TV coverage; nonprofit movies; documentaries; Norodom Sihanouk’s movies; etc. Meanwhile, hundreds of archives are being organized and indexed. From the very beginning, the Bophana Center’s main objective was to offer young Cambodians vocational training as well as professional support over the long run. Thus, archivists, film and audiovisual technicians as well as young filmmakers have been trained at the Bophana Center. The center is now opening up to multimedia: it launched pilots and now develops new multimedia training curriculum. While being a discussion forum for the artists, the Bophana Center also supports art creation in all forms and produces documentaries and fictions about Cambodia, which are the archives of tomorrow. “Red Wedding” in particular stood out in major festivals, including Sundance and IDFA. Film and broadcasting productions have taken an increasing part in our activity, which enables us to become more financially independent and echoes our ambition to strengthen the audiovisual sector in Cambodia. 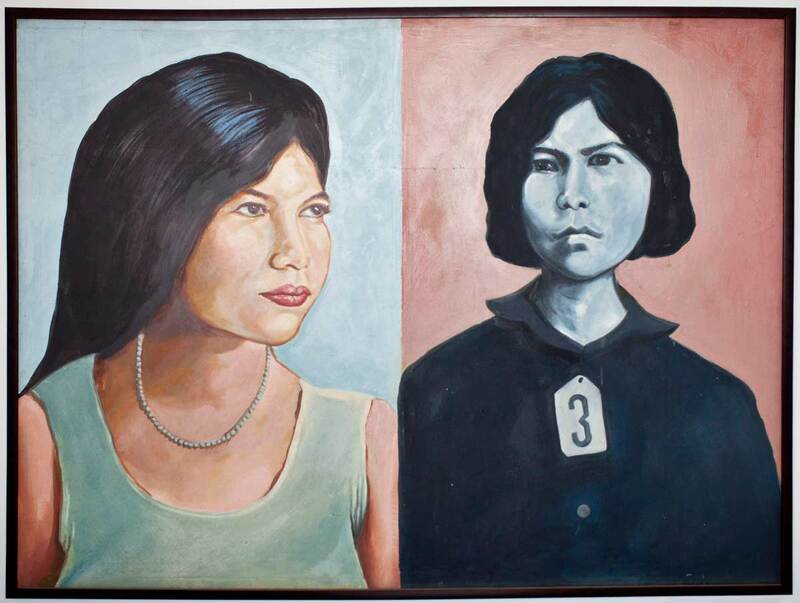 Bophana is 25 when she is executed by the Khmer Rouge. Her body is thrown into the mass grave of Choeung Ek on March 18, 1977. On the same day her husband Ly Sitha is killed as well. During the five months of torture before her death, she writes thousands of pages of confessions. She tells how her father, a teacher and district chief, was killed in a Khmer Rouge ambush, and how she had to flee her home and take refuge with her two sisters in Kompong Thom. Cambodian memories have been destroyed by three decades of war. Collecting film and audiovisual archives will help Cambodians to gradually restore this priceless heritage, and will enable them to understand their past, build their present and invent their future. The archive collection first started in France and then spread to other countries (notably the US) and to Cambodia. All the collected documents, which are sometimes restored at the Bophana Center, are made available to the public in a trilingual database (French, English, and Khmer). These archives are also brought to life by animations the center organizes. They include conferences, debates, exhibitions, and workshops, enabling these documents to be shared with different audiences, while promoting exchange and reflection. In Cambodia, 70 percent of the population is under 30. This highly connected youth is not only exposed to a huge amount of images; it also craves for the opportunity to express itself. 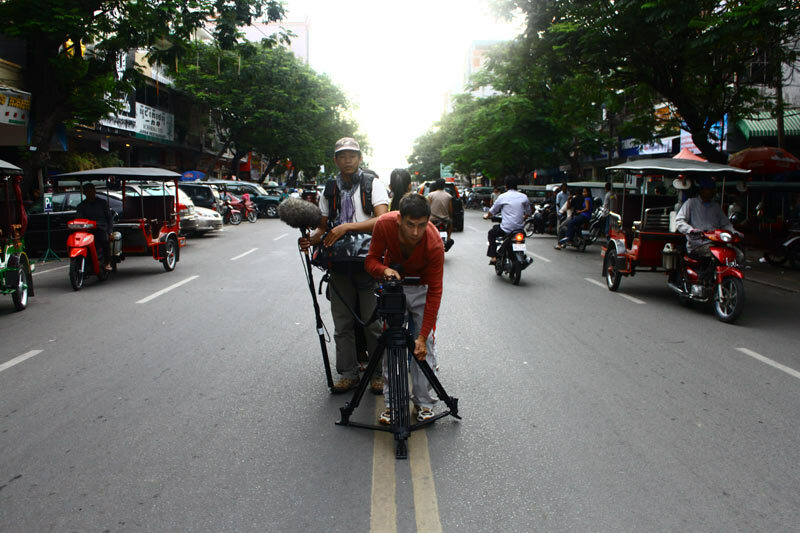 Unfortunately, there is no real training for filmmaking and broadcasting careers in Cambodia. 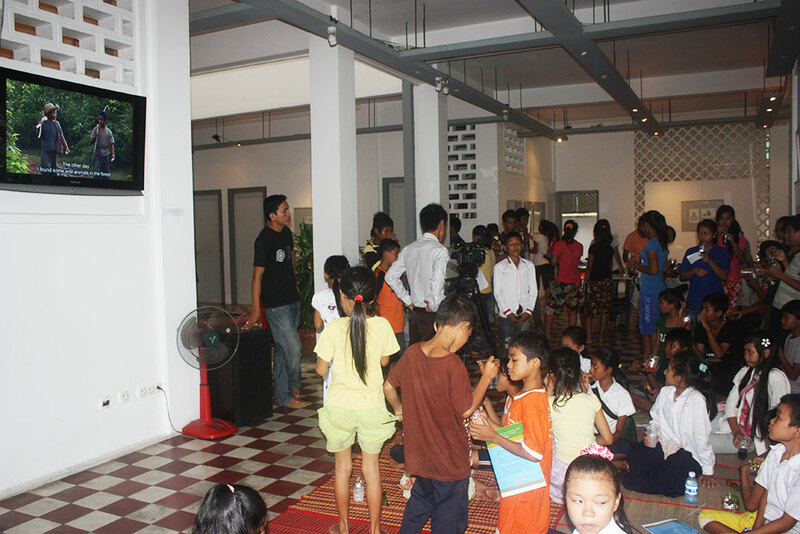 To encourage critical eye and promote a quality Cambodian film production, the Bophana Center trains young people in filmmaking and broadcasting techniques. Thanks to their professional training, they have the skills to work with local and foreign directors. Rithy Panh is the first Cambodian filmmaker who was ever nominated for an Oscar with his movie “The Missing Picture” in 2013. In the very same year he received the Jury Prize at the “Un Certain Regard” at the Cannes Festival. He directed many documentaries, including “S-21: The Khmer Rouge Killing Machine”, for which he was awarded the prestigious Albert Londres Prize in 2004. Rithy Panh was also instrumental in establishing the Bophana Center alongside leu Pannakar, Senator and Minister of the Royal Palace, who devoted his life to cinema and broadcasting in Cambodia. He graduated from Ecole de Vaugirard (now Ecole Louis Lumière) in Paris, and from 1955 to 1970, was in charge of the film, photography and broadcasting services for the State. As such, he trained most of the Cambodian technicians of the time. When the Khmer Rouge regime collapsed in 1979, he went back to his job to help give new life the audiovisual industry in Cambodia. 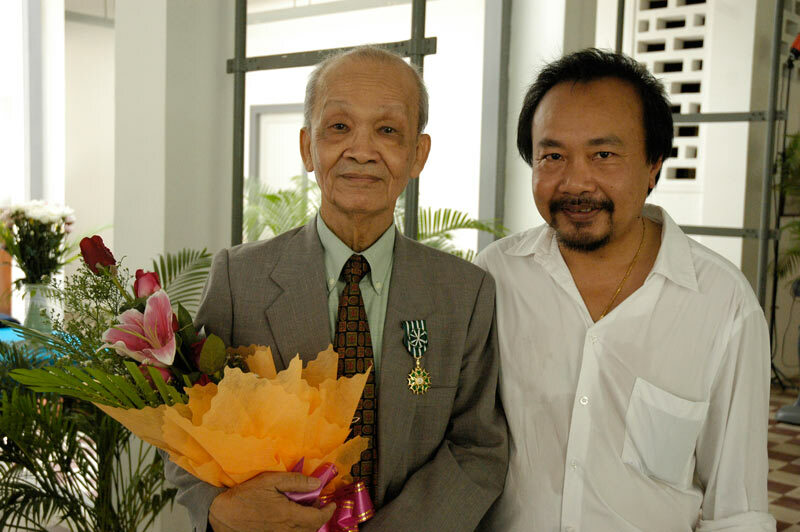 On July 25, 2008, Ieu Pannakar was awarded the title of “Officier des arts et des lettres” by the Ambassador of France in Phnom Penh, in the presence of Rithy Panh. For years Ieu Pannakar embodied Cambodia’s cinema and television memory.